CHAP Civils undertook the civil engineering for Vital Energi when they connected two of Grampian’s flagship hospitals, making them the first in Scotland to share a single energy source. 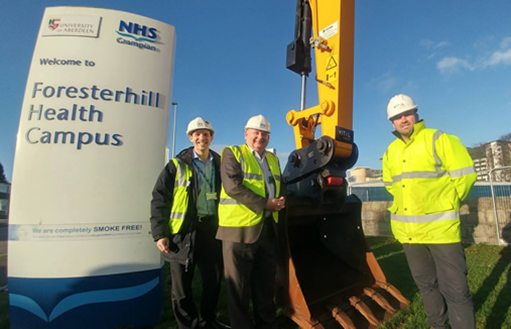 The project saw a highly insulated steam main and electricity cables connect the two hospitals and allows the Foresterhill Energy Centre to operate at its full potential and supply heat and power to both sites. operate on public highways, all while maintaining blue light access routes. In addition to the above challenges, CHAP had to ensure that the works alongside the Foresterhill air ambulance landing site were completed without hindrance to this vital safety service.